In 1986, in Khandwa, Madhya Pradesh, teenager Guddu and his five-year-old brother Saroo became separated when out to do some manual labor. The boys were from a poor, single-parent family, where mother Kamla would go off to work in construction and the older children would have to look after the younger ones. Tiny Saroo fell asleep on an empty train and landed up in Kolkata, 1600 miles east of where he lived. And so director Garth Davis begins Lion his adaptation of Saroo Brierley’s A Long Way Home. 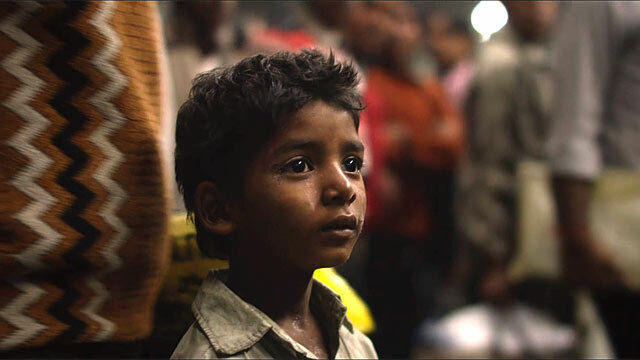 After the initial establishment of Saroo’s accidental train journey, Davis then gives us a quick tour of the threats and perils of the many vulnerable and anonymous children as they try to exist in a big city. It’s a helluva scary journey. After several perilous near misses with either child molesters or human traffickers, Saroo is taken by a kind soul to the police, and then to an orphanage when any attempts to identify the child’s home town are unsuccessful. (Saroo was unable to provide neither his own full name, his mother’s nor the town where he lived.) This is like another facet of the story told in Richie Mehta’s devastating film Siddharth, which also leaves audiences with a keen appreciation for why child identification, especially in developing countries, is so important. Saroo is soon adopted by Australian family Sue and John Brierley and grows up in Hobart, Tasmania, in the company of Mantosh, a second child the Brierleys also adopt from India, and whose transition into his adopted family is a rocky one. The film jumps 20 years ahead as Saroo (Dev Patel), quintessential Aussie dude, is heading off to study hotel management in Melbourne. When hanging out with classmates who have come from India, Saroo begins to experience a series of flashbacks of his mother and brother, and his earliest, long-buried memories of India. The anguish of thinking about his birth family’s loss and suffering sends Saroo on an obsessive hunt using Google Earth (then a newly-released tool) to try to pinpoint his home town so he might find his family. In case you didn’t see the news stories about Saroo in 2013, I won’t tell you of the outcome, but I will say that even going in to this film knowing in general terms what happened, I was still in suspense to the very end. Dev Patel, all grown up from the gangly kid we knew in Skins and Slumdog Millionaire, still has an open and guileless face which allows him to express a range of emotions, especially the anguish and confusion Saroo experiences. The consensus of several young women I overheard at the screening I attended was that Mr. Patel’s look (the extra pounds, the longer hair and beard) suits him. His role in Lion called upon him to portray an assortment of emotions deeper and more conflicting than he’s had to before and he rose – seemingly without effort – to the occasion. Sunny Pawar, the child who plays the young Saroo, is a total charmer. He had never acted before, and has proved himself a natural to the craft. 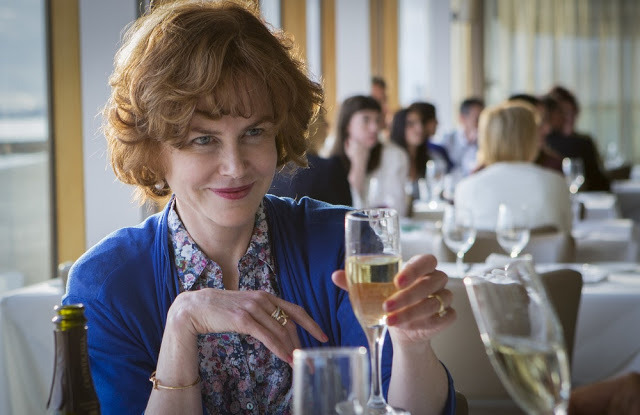 Nicole Kidman’s Sue Brierley is on-point in the happier scenes, but in the more emotionally wrenching ones, she feels at a remove, muffled almost. Priyanka Bose as Kamla, Saroo’s birth mother, and Abhishek Bharate as Guddu, Saroo’s brother, are both genuine and fully credible in their roles. Indian film stalwarts Deepti Naval, Tannishtha Chatterjee and Nazauddin Siddiqi make brief appearances in supporting roles and all are their usual good selves, especially as some of them take on very unsavory characters. 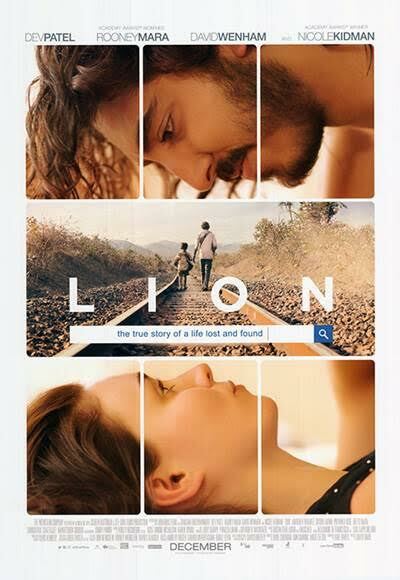 Lion is a compelling and touching story about identity, belonging, family and home. In this global world, where people migrate and settle not just hundreds but many thousands of miles from where they or their parents began, these are questions and feelings that many of us will experience. I can say this as one who has gone to Google Earth more than once to look at my grandparents’ suburban Dublin house where I spent so many truly happy times as a child. Garth Davis and his cast and crew have given us a beautiful, moving story that will touch your heart. I will certainly watch it again. Make sure you stay to the very end and watch the final onscreen notes, or you’ll miss finding out how the film got its title. I look forward to seeing more of Dev Patel as a leading man. Richard Curtis, are you listening?